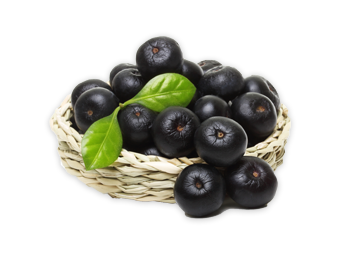 Acai (Euterpe oleracea) is a popular fruit from Brazil which has potent antioxidant properties. A recent in-vitro study suggests this is due to the presence of high levels of phenolic compounds such as the flavonoid anthocyanin, which is found within the fruit. It is the anthocyanin that gives the acai fruit its characteristic dark purple color.